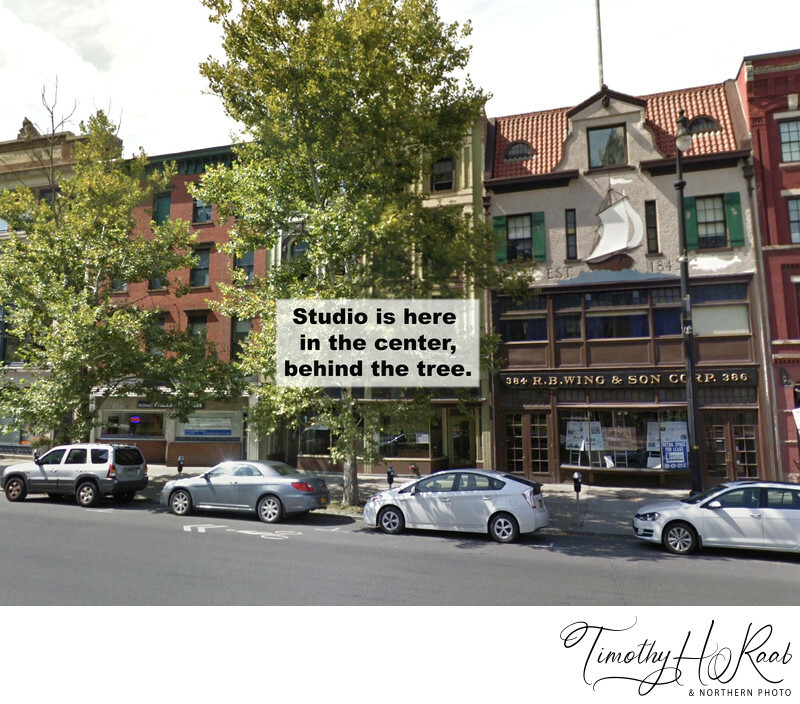 Timothy Raab & Northern Photo’s new "Broadway Studio" is located in historic downtown Albany, New York, at #380 Broadway, "Plaza Row", between Hudson Avenue and Division Street, just off Interstate 787. NOTE: GPS often directs people to Broadway in Menands (12204), instead of downtown Albany (12207). There is plenty of street parking. 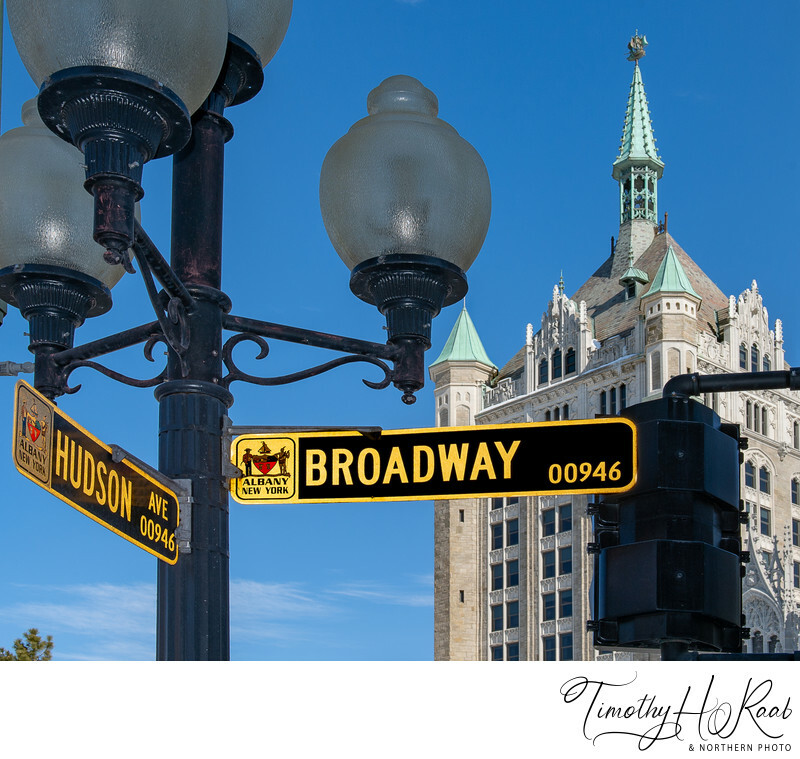 The Broadway Studio is on Broadway, across the street from SUNY Plaza, aka, the gothic D&H Building, between the historic R.B. Wing building (ship and fish on stucco) and the McGreevy ProLab/ProPress. 2 buildings down from The Parish Public House [corner Hudson Avenue]. Please do not show up very early for your appointment at the studio, especially first thing in the morning. Call ahead if you're running late. If you must postpone an appointment, phone the studio [518-465-7222] immediately, including nights and weekends. Call forwarding is always activated when Tim is away from the studio. Cell phone # 518-369-2920.